Naughty backyard squirrel, originally uploaded by BigAssSuperBlog. 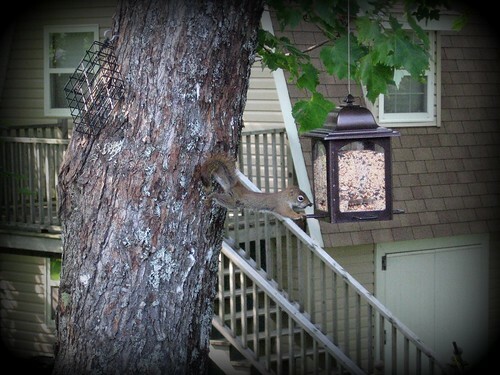 Nomming on another bird feeder -- with only one foot holding on to the tree! Terribly amusing stuff.